Poker Heaven has an attractive table interface and quality graphics with a four-colour deck option. The lobby has a classy look and feel to it and players will find it very easy to navigate. 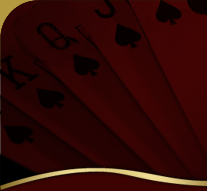 The latest feature that has been added to Poker Heaven is the Player Zone. This allows players to see their rake totals, a rake odds calculator, bonuses and special promotions. Players may also play up to five tables at a time. There is a variety of games offered at Poker Heaven, such as Texas Hold’em, Omaha, Omaha Hi/Lo, 7 Card Stud, 5 Card Stud and 5 Card Draw. Poker Heaven have a team of professional hosts that will answer any query players may have via email. Players will receive a 200% sign up bonus match up to €1000. Players will be rewarded for playing in real money games with a VIP membership, and win prizes such as iPods and Plasma TV's.